If you have regular periods, calculating when you are ovulating is fairly simple and usually pretty accurate. However, if your periods are irregular, it can be harder to determine when you are ovulating, and it can be very frustrating for many women who want to get pregnant. Learning how to track ovulation with irregular periods is key. The first step to trying to track your ovulation if you have irregular periods would be to chart your periods. Once you have charted and tracked your periods for a few months, you might be able to notice a pattern, although it might not be the same pattern that other women have. Maybe you only get your period every other month, or every forty days. If you chart your cycles for a few months, sometimes you will find out that your periods are in fact, regular, even if they are not “normal” cycles that we usually think of, or the normal 28 to 30 day cycle. You might still have a normal, regular cycle that is just longer. You will never know this unless you track your cycles. If you can’t use the calendar to find out when you are ovulating, you might have to use your own body to physically keep track of when you are ovulating. 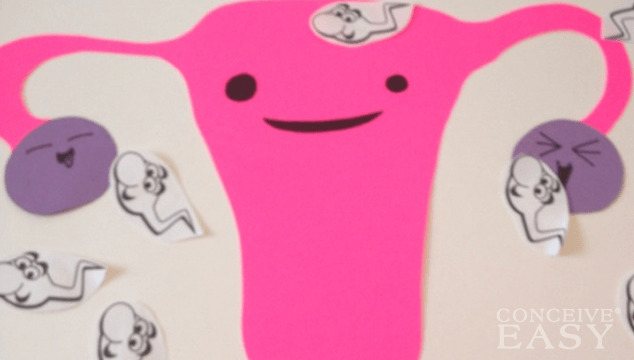 One easy way to know when you are ovulating is to keep track of your cervical mucus. Cervical mucus is the normal, regular discharge that all women have. When you are ovulating, your cervical mucus will become clear, thick and stretchy, almost like the whites of an egg. That is how you can tell when you are ovulating. You can also use a finger to physically feel your cervix. When you are ovulating, your cervix will change from it’s original position of hard and firm, to kind of soft and moist, and your cervix can even tilt during ovulation, and you will be able to feel that. Your body has some small, subtle changes during ovulation as well; one of them is your basal body temperature. Your basal body temperature is the temperature of your body at rest, or when you first wake up in the morning and before you do anything. You have to have a special BBT thermometer to take your basal body temperature. A BBT thermometer is a very sensitive thermometer that detects very small, subtle changes in your temperature. When you are ovulating, your temperature will spike by as much as one half a degree to one whole degree. You usually have to chart your temperature for a few months to notice the spike, and it can be a very slow process. Tracking and charting your ovulation when you have irregular periods can be a little bit difficult and can sometimes be slow, painstaking work, but it is not impossible. By following some of these tips and tricks, you can easily figure out when you are ovulating even if your periods are not regular.